Provide comfort for the family of Audrey Hasson with a meaningful gesture of sympathy. Passed away at Twin Oaks of Maryhill on January 11, 2019 at the age of 88. 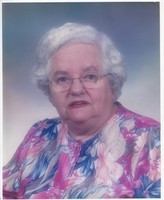 Beloved wife of the late Kenneth Hasson (1983). Loving mother of Marg and her husband Fred Longstaff, Tom and his wife Peggy, Don and his wife Doris, Ken and his wife Gracie, and Bill and wife Debbie. Cherished grandmother of Julie, Jerry, Jason, Emily, Glen, June, Kenny, Becky, Joey, Brittany, and Jake, and great grandmother to 14, and great great grandmother to 7. Dear brother of late Louis, late Ronald and late Earl Dudley. Survived by her sister in law Rita Dudley. Thank you to the nurses at the Ellington and Twin Oaks for their compassionate care, and special thanks to Laura Lee at the Ellington. Friends will be received at Gilbert MacIntyre and Son Funeral Home, Hart Chapel, 1099 Gordon St, Guelph, on Monday, January 14, 2019 from 2-4, and 7-9pm. A funeral service will be held in the funeral home chapel on Tuesday, January 15, 2019 at 11 a.m. with visitation one hour prior. Interment at Marymount Cemetery. 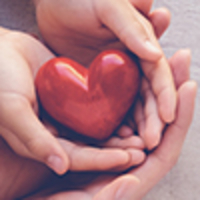 As expressions of sympathy, donations to the Dialysis Centre at Guelph General Hospital, or Guelph Wish Fund for Children would be appreciated by the family. Donation cards are available at the funeral home (519-821-5077), or online condolences may be left at www.gilbertmacintyreandson.com. Donations are being accepted for: GUELPH WISH FUND FOR CHILDREN. We encourage you to share your most beloved memories of Audrey Hasson here, so that the family and other loved ones can always see it. You can upload cherished photographs, or share your favorite stories, and can even comment on those shared by others. Love, Lisa & John van Boxmeer, Jeff and Renate Mow and Love Rita, Cindy and Steve have sent flowers to the family of Audrey Hasson. We are so sorry for your loss Deb. Your family is in our thoughts.